...the Flood Warning Is Cancelled For The Following River In Texas... Guadalupe River At Victoria Affecting Victoria County ...the Flood Warning Continues For The Following River In Texas... Guadalupe River Near Bloomington Affecting Calhoun...refugio And Victoria Counties ...Read More. The Flood Warning Continues For The Red River Near Burkburnett. * Until Friday Evening...or Until The Warning Is Cancelled. * At 7:30 Am Thursday The Stage Was 8.5 Feet. * Minor Flooding Is Forecast. * Flood Stage Is 9.0 Feet. ...Read More. 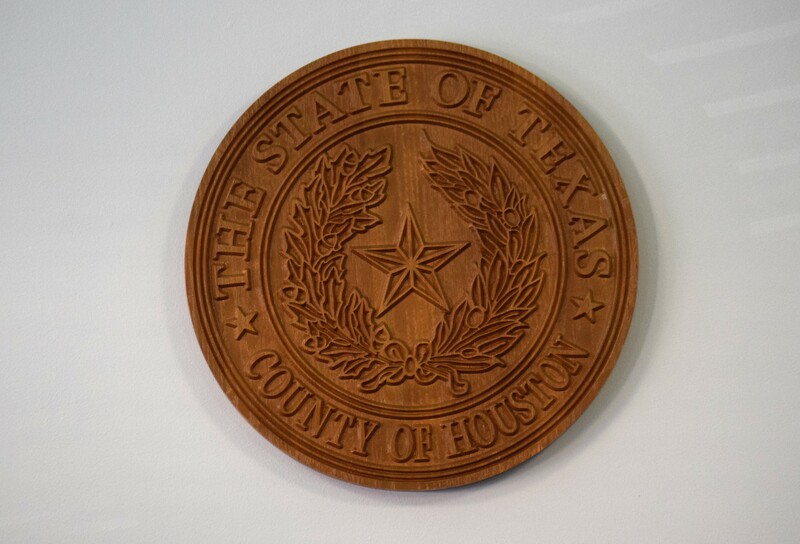 HOUSTON COUNTY- The Houston County Commissioners Court met in a regularly scheduled meeting on Tuesday, March 13 to discuss a wide variety of topics. In preparation for the upcoming Piney Woods Music and Arts Festival, Piney Woods Fine Arts Association Executive Director Glenn Barnhart came before the court to request Hotel Occupancy Tax funds to help offset the cost of the upcoming festival. “Four years ago, we started the festival as a tourist attraction and a spring festival to be held here in the center of Houston County. It has been a big success and we have had quite a few visitors from out of the county,” Barnhart said. Following Barnhart’s presentation, the commissioners authorized the allocation of $2,000 to the PWFAA to help cover artist fees. Shortly after the meeting began, several items were moved around on the agenda. One of these items concerned a premises use display permit request for the Houston County Democratic Party. County Judge Jim Lovell asked if anyone was present to speak on behalf of the request and Houston County resident Vicki Braun said she was. “We are having our county convention on March 24 in the District Courtroom at the courthouse. We are asking that we be allowed to put a display on the courthouse lawn beginning either today or tomorrow announcing the meeting, the day and the time,” Braun said. “The second request that we have is that the day of the convention , we would like to put posters on the four entrance doors to the courthouse, so people will know to go upstairs and that the meeting is in the District Courtroom,” she added. Following a brief discussion, the court gave its approval for the display. The commissioners approved the minutes from previous meetings. The payment of bills and expenses incurred by the county were approved. The Houston County Environmental and Community Service Reports were received as information by the commissioners. Salaries for a part-time maintenance worker and part-time truck driver were approved by the court. The court accepted as information the 2017 annual report from the Houston County Historical Commission. The court approved allowing retail fireworks permit holders to sell fireworks to celebrate San Jacinto Day and Memorial Day. The payment of compensatory time for a terminated employee was approved. The court approved the 2018 renewal of the Affordable Care Act Reporting and Tracking service through the Texas Association of Counties. Next articleFrom EDC to MDD?